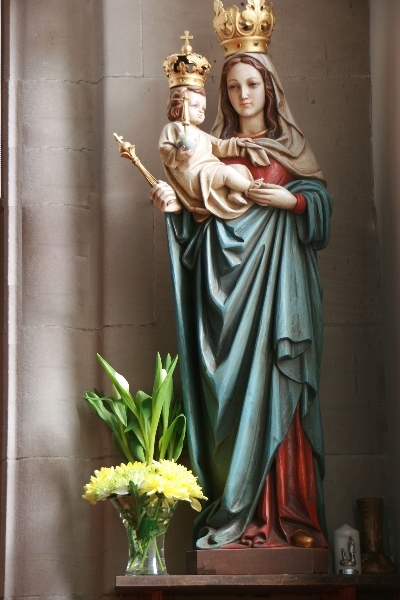 New Years Day Mass: Solemnity of Mary Mother of God – Mass at 10.30am. Nativity Play – Contributions to the Yemen Appeal came to £193. Thanks to everyone for their effort and support. Appeal from Highland Food Bank for your continued support in the high demand months of winter, to help those in need within our Community. Thanks: from COVASS in Nairn and Inverness Women’s Aid. The Parish distributed assistance totaling £1200 to these worthy causes. This amount was made up of money raised from Fr. Damian’s marathon run and the reserve of the parish’s charitable funds. Men, Women, and Child victims of households affected by domestic abuse and violence will all benefit. Monday 24th December – Morning Mass at 10am. Carols at 11.30pm followed by Midnight Mass. Tuesday 25th December – Morning Mass at 10.30am. Nativity Play – Well done to our young people and to our Catechists, Parents and Guardians for their efforts yesterday, including organising the Social afterwards. Donations will be sent to help the needy of Yemen. Thanks – Fr. Damian appreciates all the cards and generous gifts he has received. May Christmas bring peace and joy to you all. Penitential Service (With Sacrament of Reconciliation) – This will take place from 6.30pm, on Tuesday. In a change to the bulletin, Fr. Cameron will assist Fr. Damian. This is an opportunity for you to avail of this important Sacrament before Christmas. Nativity Play – Will be in the Church on Saturday 22nd December at 11am. After the play there will be refreshments in the Hall. Donations at door for the needy of Yemen. Advanced Notice – On December 24th there will be Carols from 11.30pm followed by Midnight Mass. On December 25th Mass will be at 10.30am. NB – Please see Fr. Damian if you can serve as a Reader or Minister of the Eucharist at Midnight Mass. Religious Christmas Cards and Gifts are on sale from the Piety Stall at the back of the Church. Any enquiries to Emily Lamont. Christmas Light-a-Candle Cards – If you light a Candle for a loved one etc., cards are available to send to them. Donations for Cards to Aid for the Church in Need. 2018 Parish Coffee Morning – A total of £834 was raised for Parish Funds. A big thanks to all. St Ninian’s Carol Concert – 3pm this Sunday. Money raised will help Toran, a Sixth Year Student, as he prepares to go to S.Africa and do important humanitarian work next year. Thanks from Highland Food Bank for your continued support and a kind reminder to continue to give in the high demand months of winter, to help those in need within our Community. 2018 Parish Coffee Morning – Thanks to all who organised, contributed to, and attended a successful communal event. Religious Christmas Cards and Gifts are now on sale from the Piety Stall at the back of the Church. Any enquiries to Emily Lamont. Christmas Carols and Seasonal Readings – Wednesday 5th December 7pm at St. Columba’s Catholic Church, Culloden. Adults £5 Children free entry. from 10am at The Church of the Immaculate Conception, Stratherrick. Thanks from Lepra – The contribution we made of £150 from our Charitable Funds, will help to cure 6 people of Leprosy. Mass times Tuesday to Friday as normal. NB – Weekday Masses only on Wednesday and Friday this week. Children’s Liturgy Group and Catechetical Classes – Please all meet with Parents/Guardians in Upper Hall after Sunday Mass. Christmas Flowers – There will be a Second Collection next week. Please give generosity. Christmas Light-a-Candle Cards – If you light a Candle for a loved one etc., Cards are available to send them. Donations for Cards to Aid for the Church in Need. Mass on Remembrance Sunday (11th November) – Mass will be at 9.30am so we all have the opportunity to participate in the town ceremony at the War Memorial. 2018 Parish Coffee Morning – Saturday 1st December, at 10am – We kindly request food and drink items to make up three quality hampers and items for home baking, chutneys/ jams, craft, and bric-a-brac stalls etc. Donations can be brought to the Hall after Weekend Masses. If you wish to volunteer or have any queries please contact Marie Cruickshank (Parish Social Coordinator). Nairn Community Transport – Drivers Course. The next course is to be held on Wednesday 28th November, from 8.30am to 5.30pm. It would be very beneficial to have some more trained drivers to assist when transport is needed for church activities. Please contact John Dolan if you wish to attend. Thursday 1st November – Solemnity of All Saints (Holyday of Obligation) – Masses at 10am and 7pm. Mass on Remembrance Sunday (11th November) Mass will be at 9.30am so we all have the opportunity to participate for the town ceremony at the War Memorial. Thank you from Patricia Robertson for the prayers and practical support she received, as she has recovered from her eye operations. She has kindly had a Mass celebrated for the intentions of the Parish. Mission Sunday – The amount forwarded to Missio Scotland was £220. Thank you for your generosity. Parish Income/Expenditure Update – For the period April – September the Average Weekly Income was £392 and the Average Weekly Expenditure was £488. The Parish had an Average Weekly Deficit of £96. October. 7.15pm at St Ninian’s Church Hall. Church of Scotland Women’s Guild – The women of the parish are invited to join the next meeting on Wednesday 14th November, at 2.30pm, in the Old Parish Church Hall. Inter-church Quiz – £386 was raised for Parish Funds. Thanks to all who helped organise and participated in the event. St Vincent de Paul – Special Collection. £230.52 was contributed for the funds of the Nairn Conference. Many thanks for your generosity. Next week for Mission Sunday. This Thursday, Mass will be at 9am, preceded by the Rosary at 8.30am. Fr. Damian has a meeting to attend. October – Month of the Holy Rosary. This month we will pray the Rosary, half an hour before all weekday Masses. Second Collection Next week for the St. Vincent de Paul Society, Nairn Conference. Saint John Olgivie Mass – Wednesday 17th October, at 6.30pm, at St. Thomas’, Keith. The film, ‘Romera’. – Wednesday 10th October, at 7pm. A Workshop on The Holy Mass: Gift of Christ. – Saturday 20th October, at 11am. Inter-Church Quiz – This Friday, at 7.15pm, at the URC Church Hall. Thanks to George Lavery for organising the successful quiz at the Seaforth Club and to all who assisted him and took part. followed by a Holy Hour, in penance and reparation, for the sins committed within the Church and our Nations against faith, life and love. 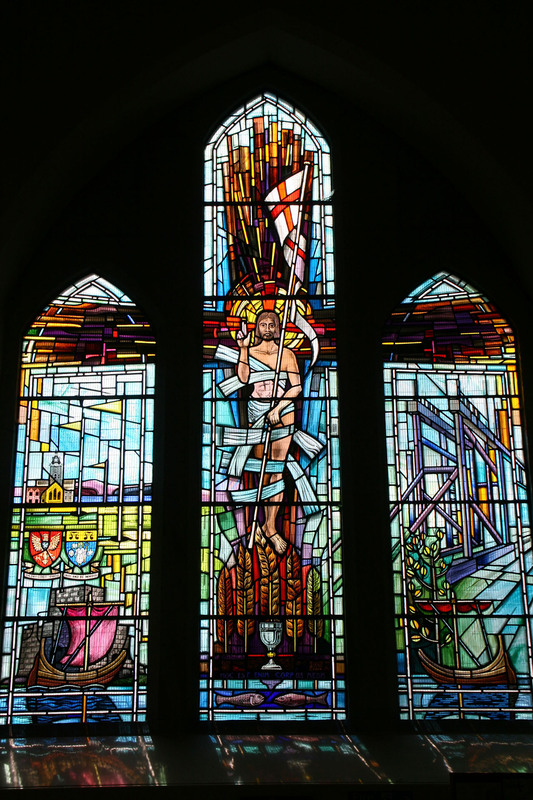 Day of Reparation and Petition – Saturday 6th October, at 4pm, at St Mary’s, Inverness. Finishes with the Vigil Mass at 6pm. See full programme on Notice Board. SCIAF – Christmas Real Gifts make excellent presents at Christmas, while helping needy families in poor countries free themselves from hunger, poverty, and injustice. Visit the website www.sciaf.org.uk/realgifts or call 01413545555. Profession Mass – Secular Franciscan Order. This Mass for John Taylor will take place on Wednesday 3rd October, at 11am, at St. Columba’s, Culloden. A light lunch followed by an opportunity to pray together will follow. Contact Bridget Gordon if you are interested. Seaforth Club, Nairn. To register a team, of up to 4 people, please register at info@georgelavery.com. Special Thanks From Patricia Robertson to all those who gave a donation for a card, when they lit a candle. £100 has been sent to Aid to the Church in Need. 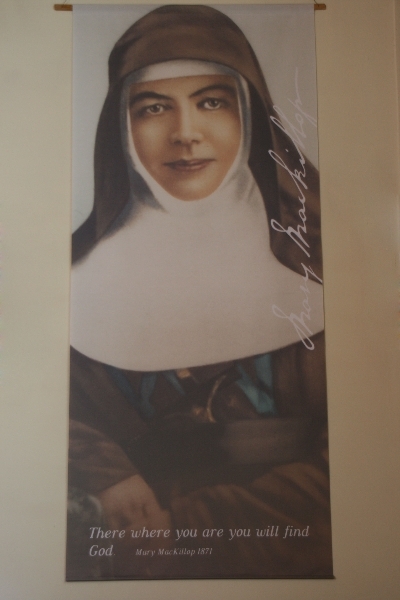 This will assist Sr. Annie to continue her good work in Aleppo, Syria. Catechetical Classes for First Holy Communion/Confirmation – Teaching begins this Sunday after Mass. If your Child is not registered yet, please see Fr. Damian. Ordination to Diaconate – Domenic Nwaigwe will be ordained Deacon this Friday at 6pm, at St. Mary’s, Inverness. If you wish to attend please be seated by 5.30pm. Highland Foodbank Harvest Appeal – Please see the poster on the Notice Board for the list of goods that would be particularly helpful at this time. Apostleship of the Sea. Please read the letter of thanks, on the Notice Board, for our 2018 special collection. Votive Mass of the Blessed Virgin Mary – First Saturday of every month. For our parish intentions. Olgivie Centre – There is an extensive programme being offered in our Diocese of Retreats/Training for 2018/2019 catering for all groups. Please consult the poster on the Notice Board. You can further enquire from Fr. Damian or email olgilvie@rcda.scot. Special Thanks – To all those whose help and support made our parish barbecue a successful event. Letter to all Roman Catholics from Pope Francis: Please take a copy for each household, taking time to read and reflect on this important letter. 10am on Monday and Wednesday. Children’s Liturgy and Catechetical Classes for First Holy Communion/Confirmation – Begin on Sunday, 2nd September. Parents/Guardians should attend the first Catechetical Classes. Please contact Fr. Damian for further information. St Joseph’s Deanery Pilgrimage – This will take place on Saturday, 8th September, at Christ the King, Brora. Archbishop Emeritus Conti, will celebrate Holy Mass at 12 Noon. Rosary – Saturday 9.30am and Tuesday 6.30pm. We have the special intention for Vocations to the Diocese and to Religious Life. The Bishop is encouraging our prayers. The Assumption of the Blessed Virgin Mary – Wednesday, August 15th – This is a Holyday of Obligation. Mass at 10am and 7pm. Barbecue – Friday, 31st August at 7pm. Entry by Donation. Soft drinks will be provided, but you are welcome to bring your own wine. Vegetarian options. Viewing of Parish House – Sunday, 2nd September after Mass. Parishioners can view the work done, substantial funds were used for to make renovations, of public rooms, in the Parish House. Blessing of Graves – Sunday, 2nd September at 2.30pm at Nairn Cemetery. All welcome as we solemnly walk around the Cemetery, blessing the Graves of our departed family members and friends. Children’s Liturgy and Catechetical Classes for First Holy Communion/Confirmation begin on Sunday, 2nd September. Contact Fr. Damian for further information. Church Volunteers – Many thanks to the four ladies who are now on the Cleaning Rota. There is a need however for more parishioners to volunteer for flower arranging. Please contact Emily Lamont. St Joseph’s Deanery Choir – Rehearsals for the Highland Deanery Choir begin on Wednesday, 22nd August, at 7pm in our Parish Hall. Please contact Matthew McVey if you are interested. All Welcome. Mary’s Meals Day – Sunday, 9th September, at the Glasgow Royal Concert Hall. Doors open at 12.45pm. See poster to book a place. Ordination to Diaconate – Domenic Nwaigwe will be ordained Deacon on Friday, 14th September, at 6pm at St. Mary’s, Inverness. If you wish to attend please be seated by 5.30pm. Feast of The Transfiguration of The Lord – As this is on Monday there will be a Mass at 7pm. Garage – Many thanks to those who have given their time to dismantle the old garage and have it removed. listing the goods that are presently needed. The school holidays are a busy time, with a lot of families in need. Sacramentals – There are a number of small statues and pictures, in the hall, which you are welcome to take home. If you wish, you can give a donation. Garage – Many thanks to those who have organised to dismantle our wooden Garage. SCIAF Lenten Appeal – The certificate of thanks for our collection of £767 is on the notice board. Highland Food Bank – Please continue with the generous support, especially in the school holidays. This is a period of high demand from low income families. Thank you. Venerable Margaret Sinclair – The annual pilgrimage for the Beatification of the Venerable Margaret Sinclair will take place on Sunday, 9th September, 2pm- 6pm, at St Patrick’s Church, Cowgate, Edinburgh. Garage – Our wooden garage is in a state of disrepair and we would be grateful if someone can organise to have it dismantled and taken way as soon as possible. Please contact Fr. Damian. Emmanuel Community Presentation – ‘Jesus the Way’ – A reflection on the Holy Father’s exhortation, ‘Gaudete et Exsultate’. This will take place at St Mary’s, Beauly, on Saturday, 28th July, 10.30am-1.30pm. Celebrate Scotland – Catholic Charismatic Family Weekend. This will take place in Glasgow, on the weekend of the 9th & 10th September. Booking forms at the back of the Church. Special Collections – The Peter’s Pence collection came to a total of £103.85 and the Apostleship of the Sea collection came to a total of £132.60. Thank you for your continued generosity. Sunday July 8th, for Apostleship of the Sea. 28th June to July 12th: If you need to contact a Priest urgently please call St. Mary’s, Inverness, 01463233519. Mass Changes this week – No Masses on Thursday and Saturday. Wednesday at 9am. On Friday (The Solemnity of St. Peter and St. Paul), there will be only one Mass celebrated at 10am). Special Collection Next Sunday, July 1st, for Peter’s Pence. 28th June to July 12th – If you need to contact a Priest urgently please call St. Mary’s, Inverness, 01463233519. Pastoral Council – St. Mary’s Parish: Meets this Tuesday, at 7.30pm. Catechists/Children’s Liturgy Teachers: Could you kindly send me your email addresses. This will allow me to send you a link to register on the database of the Ogilvie Centre. Pilgrimage to Pluscarden, next Sunday, 24th June – The two sixteen-seater will leave from the Bus Station at 12.45pm and then depart for home at 5.15pm. This gives us time for eating and walking etc., as well as for participating in the organised programme. Please bring your own picnics/packed lunches. Cost to Adults is £3. Those Under 18 year old travel free. Annual Mass – Scalan, Chapleton of Glenlivet: Sunday, 1st July, at 4pm. Remembrance Day Service – St Ninian’s Church: To mark the centenary of the end of World War I, it is proposed that a special Choir be formed for the forthcoming service. It is hoped that some of our church members might join them. It will involve a few rehearsals beforehand. If you are interested please contact Matthew McVey. Children’s Liturgy – Continues until Sunday, June 24th. Preparation for First Holy Communion/Confirmation 2019 – Fr. Damian proposes to begin classes after the Summer holidays. If your Child will be 7 years old by June 23rd 2019 they can prepare for First Holy Communion, or 11 years old by June 23rd 2019 for Confirmation. Please give him names by Sunday, June 24th. 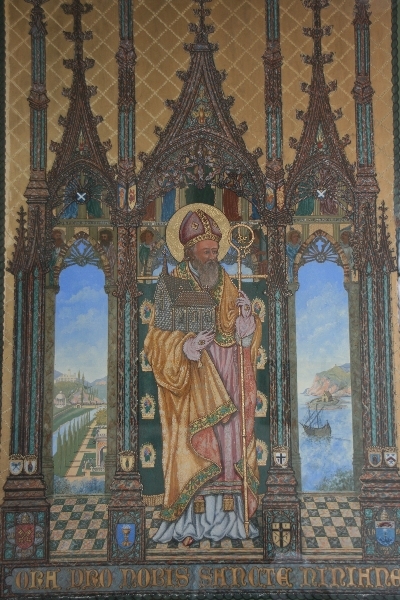 Diocesan Pilgrimage to Pluscarden, Sunday, 24th June – The two sixteenseater buses have been booked to leave Nairn at 12.45pm and then depart for home at 5.15pm. This gives us time for eating and walking etc., as well as for participating in the organised programme. Thanks to all who have given their names, ensuring we are fully-booked. Final Details of Transport Costs/Food/Other Arrangements next week. £5,000. Draw takes place in Stirling on Friday, June 22nd. Your support is appreciated. NB – This Week: As Fr. Damian will be in Aberdeen the arrangements are as follows – Monday 10am Mass, No Mass on Tuesday, and Wednesday 10am Eucharistic Service. As usual from Thursday. Diocesan Pilgrimage to Pluscarden, Sunday, 24th June: Two sixteen-seater buses have been provisionally booked to leave Nairn at 12.45pm and then depart for home at 5.15pm. This gives us time for eating and walking etc., as well as for participating in the organised programme. There is one place available. See Fr. Damian. See poster on Notice Board. Congratulations: To those who received Holy Communion for the First time this Sunday. May they blessed. Next Sunday: We will be celebrating the Sacrament of First Holy Communion. Please keep the five candidates in your prayers this week. Some of the front pews will be reserved. There will be a small celebration in the Hall after the Mass. A Second Collection will also be taken (including at the Saturday Vigil Mass for the Apostolate of Life). ‘In God’s Image’-Safeguarding in the Catholic Church in Scotland: As from last week this robust and detailed document is fully operational across Scotland. Please see Fr. Damian or Beth Mayberry if you have any questions at this time. Power of Grace – Faith Rally for those S1 and Above: This takes place on Saturday, June 9th, from 11am to 6pm, at Greyfriars Convent, Elgin. Registration is closing this week and so please contact the Sisters, op@rcda.scot . Diocesan Pilgrimage to Pluscarden, Sunday, 24th June: Two sixteen-seater buses have been provisionally booked to leave Nairn at 12.45pm and then depart for home at 5.15pm. This gives us time for eating and walking etc., as well as for participating in the organised programme. There is one place available. See Fr. Damian. See poster on Notice Board. 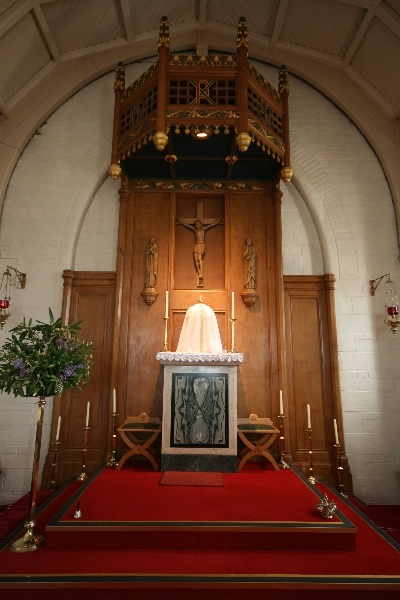 New Church Feast – Mary Mother of the Church. This new Feast has been decreed, to be celebrated every year the Monday following Pentecost Sunday. Mass will therefore be at 10am this Monday. Diocesan Pilgrimage to Pluscarden, Sunday, 24th June: Two sixteen-seater buses have been provisionally booked to leave Nairn at 12.45pm and then depart for home at 5.15pm. This gives us time for eating and walking etc., as well as for participating in the organised programme. There are still two places available. See Fr. Damian. See poster on Notice Board. Thanks: Please see the SCIAF letter on the Notice Board. drinks and food are consumed, those on duty, please thoroughly wipe down all the kitchen surfaces and tables and hoover up crumbs on the carpet (ensure cushions are crumb-free too!) Many thanks. Vocations/Busaries Collection – A total £145.17 was collected. Thanks for your continued generosity. Solemnity of the Ascension of The Lord (Holy Day of Obligation) – Masses on Thursday at 10am and 6pm. 2018 Pluscarden Lectures – ‘You Have Come to Mount Sion’. From 22nd to 24th May at the Abbey. See Poster for details. Power of Grace – Faith Rally for those S1 and Above – This takes place on June 9th, 11am-6pm, at Greyfriars Convent, Elgin. Registration is now open op@rcda.scot, or please see Fr. Damian. Diocesan Pilgrimage to Pluscarden, Sunday, 24th June – Two sixteen-seater buses have been provisionally booked to leave Nairn at 12.45pm and then depart for home at 5.15pm. This gives us time for eating and walking etc., as well as for participating in the organised programme. There are still five places available. See Fr. Damian. Rosary – Throughout May, 30 minutes (inc during Holy Hour) before all Masses. Our intention will be for Diocesan Vocations. Special Collection at this weekend’s Masses. This is for Bursaries to support Vocations. This Week NB – There are no Masses, Rosary, or Holy Hour, on Tuesday and Wednesday. Father Damian is attending the Assembly of Priests in the Diocese. Children’s Liturgy and Catechism Classes resumes for the rest of the term. Meeting of Young People (Children’s Liturgy-S6) and Parents/Guardians – Immediately after Sunday Mass in the Upper Hall. To briefly update you on events etc. for this term. Special Collection – At next weekend’s Masses. This is for Bursaries to support Vocations. Rosary on the Coast – Sunday, 29th April at 2.30-4pm. St. Mary’s has registered for this event, meeting at 2.15pm at the Swimming Pool Car Park. Our Rosary meditations will focus on the different stages of human life from conception to natural death, praying for practical support, as well as the spiritual nourishment of life. Please give your names to those at the back of the Church after Mass. We need numbers for the printing of booklets. Thanks from Mary’s Meals for our £500 donation and from the family and friends of the late Amanda Webb (nee Hinde), for the warm welcome and love and support they received at the Requiem Mass. Culbin Singers Concert – Music by Brahms, Schubert, and Mozart (Requiem), on Saturday, 12th May at 7.30pm. The venue is St Laurence Church, Forres. Please see Fr. Damian if interested. Requiem Mass Thursday 11am – For the late Amanda Francis Webb (Nee Hinde). Children’s Liturgy and Catechism Classes – Resume this Sunday. Emmanuel Community – ‘Jesus Christ the Source of Life’: Next Saturday, 21st April, 10.30am – 1.30pm, at St. Mary’s, Beauly. Bishop Hugh will be giving the main presentation. Rosary on the Coast – Sunday, 29th April at 3pm. Those who are interested to participate in this UK-wide initiative, or want to hear information about it are invited to a meeting this Tuesday 17th April, after the Evening Mass, in the Parish Hall. Tuesday Evening Masses resume on 17th April. We will also have the Rosary beforehand at 6.30pm. We encourage especially those Parishioners who work through the day to attend. Children’s Liturgy and Catechism Classes resume on Sunday, 15th April. Short Break – Fr. Damian will be absent from the Parish from Sunday Afternoon – Thursday Morning. If you need to contact do so by his Mobile Phone. Rosary on the Coast – Sunday, 29th April at 3pm. Those who are interested to participate in this UK-wide initiative, or want to hear information about it are invited to a meeting on Tuesday 17th April, after the Evening Mass, in the Parish Hall. World Youth Day – Panama 2018. There is still an opportunity for those between 18-35yrs to sign up for this event. Please see Notice Board. Thanks: For all the cards and gifts Fr. Damian received for Easter. Daily Masses – This week at 10am from Tuesday – Saturday. There will be no Tuesday Evening Mass. Thanks to all those who have helped in organising and participating in the Holy Week and Pascal Liturgies. Also to those who gave time to attend Ecumenical activities and services in the Town. Children’s Liturgy and Catechism Classes: Resume on Sunday, 15th April. Lenten Lunches: £178.77 was raised for The Society of St. Vincent de Paul and £140 for SCIAF. Many thanks for those who organised and supported these good causes. Monday: 7pm – Ecumenical Service. Tuesday: 6.30pm – Stations of the Cross and Mass. Thursday: 7pm – Mass of the Lord’s Supper. Friday: 12 O’Clock – Stations of the Cross. 3pm – Celebration of The Lord’s Passions. 7-9pm – Open Church for prayer. Saturday: 8pm – Easter Vigil in the Holy Night. Sunday: 10.30am – Mass of Easter Sunday. NB: There are various Ecumenical Services/Events which are highlighted on the Notice Board. Fr. Damian will attend some in other Churches and encourages your participation. Light a Candle Cards: Available at the candle stand. Contributions to the work of Aid to the Church in Need in Aleppo, Syria. Wednesday and Friday: Please note there has been a change to the bulletin. Mass will be celebrated on both days by Fr. Cameron. Palm Sunday: We will meet at 10.15am across at the Showfield to process to the Church. For those who wish to go straight to the Church, Mass should be begin at the usual time. St. Vincent de Paul – Nairn Conference – There will be a meeting this Wednesday at 7pm in the Parish Hall. St Mary’s Project: Our recent fundraiser at the Community and Arts Centre made a profit of £3,048.21. Many thanks again for all the help and support. 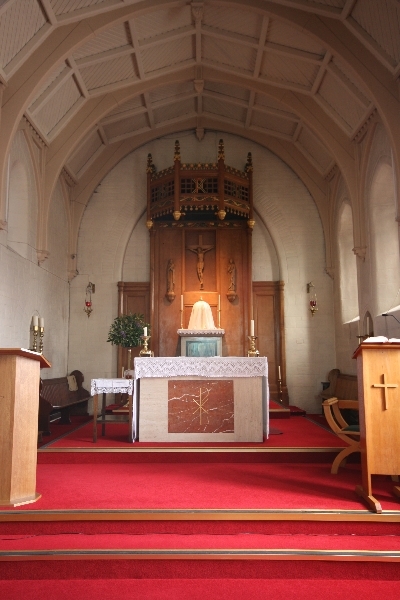 Highland Deanery Lenten Masses: The final Mass will now be in Wick at 7pm on Friday. Men’s Retreat: May 25th-27th, at Kilcoy Castle. Please email the Dominican Sisters if interested, OLGIVIE@RCDA.SCOT. Easter Cards: Available from the Piety Stall. This Wednesday Fr. Damian is concelebrating at a Funeral Mass. 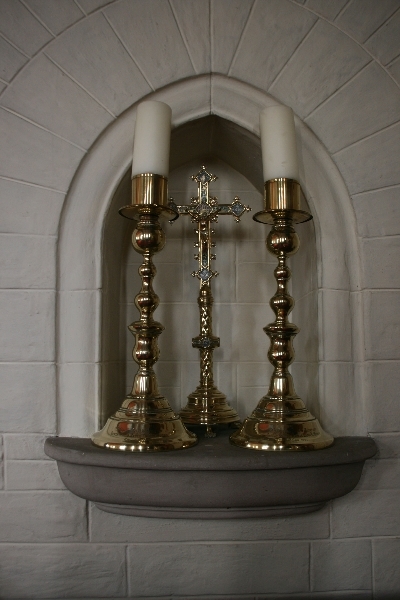 There will be no Holy Hour, but a Eucharistic Service will take place at 10am. St. Mary’s Parish Parish Council – There will be a meeting this Tuesday at 7.30pm in the Parish Hall. St Marys’ Parish Project – International Food Tasting and Fashion Show. Thanks to all those who organised, assisted at, and contributed towards this successful evening. Date for your Diary – Diocesan Pilgrimage to Pluscarden on the afternoon of Sunday, 24th June. Please join our Parish Group and we will organise transport. Please add your names to the list at the back of the Church. Josephite Recollection Day – This will be led by Sr. Ann Leesue and takes place on Saturday 17th March. It begins with 10am Mass ending at 3.30pm. A light lunch will be served. Names to Peggy Walker please. 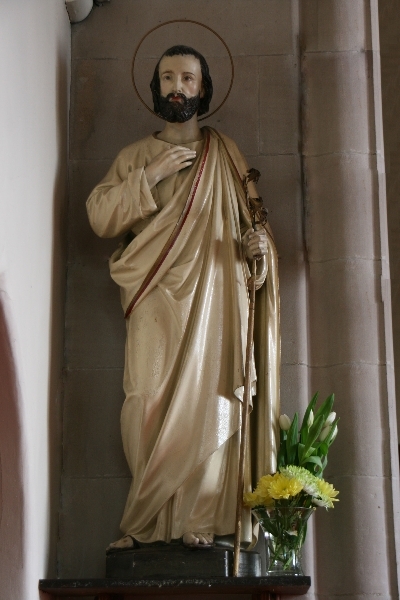 Feast of St. John Olgivie – Mass and Blessing of the Shrine will take place next Saturday, 10th March from 2pm at St. Thomas Church in Keith. Date for your Diary – Diocesan Pilgrimage to Pluscarden on the afternoon of Sunday, 24th June. Please join our Parish Group and we will organise transport. Names being taken now. St. Vincent de Paul Society – Nairn Conference: Recollection on Saturday 3rd March, beginning with 10am Mass. All Parishioners are welcome. Finishes with Lunch (Please see George Lavery if you will attend, for numbers). Date for your Diary: Diocesan Pilgrimage to Pluscarden on the afternoon of Sunday, 24th June. Please join our Parish Group and we will organise transport. Stations of the Cross – Will take place every Tuesday, at 6.30pm during Lent, followed by the usual evening Mass. Winter Flu Arrangements: We are now able to return to the normal reception of Holy Communion and the Sign of Peace. Thanks for your patience and cooperation. Highland Deanery – Lent Station Masses: The programme is posted on the Notice Board. Our Mass at St Mary’s will take place this Friday, 23rd February at 7pm. Their will be light refreshments in the Hall after Mass. Ash Wednesday – Masses with the distribution of ashes at 10am and 7pm. A reminder that it is a day of Fast and Abstinence. The SCIAF Lenten Boxes will be distributed Next Sunday. Temporary Winter Flu Arrangements – They remain in place, but hope things will return to normal soon. Fr. Damian is to run the Nairn 10km on Sunday, 4th March in support of Nairn Academy Breakfast Club. If you wish to give a donation towards this initiative you can give to him in a sealed envelope marked, ‘Breakfast Club’. St Margaret’s RC Church, Forres – Coffee Morning: Saturday, 24th February 10am -12 O’Clock in Forres Town Hall. In aid of funds for the proposed Church Annex for Catechism and meetings etc. World Day for the Sick – This is on Sunday, 11th February, but we will celebrate a special Mass this Thursday, 8th February at 11am. There will be the anointing of the sick and the aged. St Vincent de Paul – Nairn Conference Update: £200 had been donated to Nairn Academy Breakfast Club and £100 to the Highland Foodbank. Thanks for the continued support. Highland Deanary – Lent Station Masses: The programme is on the Notice Board (see also the home and events pages on the website). Our Mass at St Mary’s will take place on Tuesday, 23rd February at 7pm. ‘Let it be Done to me According to Your Word’ – How Mary Helps us to be Filled with God – The Marian Room, St Mary’s in Inverness, each Tuesday during Lent at 7pm from 20th February. All Welcome. Stations of the Cross – Will take place every Tuesday, at 6.30pm during Lent, followed by the usual evening Mass. I hope that as many parishioners as possible will attend. Fashion Show – Will take place at Nairn Community and Arts Centre on Friday, 9th March at 7.30pm. Enjoy an evening with Fashions from Brambles Boutique, Refreshments, Raffles etc. Please attend with family, friends, and work colleagues. Tickets on sale priced £10 after Weekend Masses. If you cannot attend, but still wish to make a donation towards the total to be raised, please pass it in a sealed envelope to Fr. Damian, marked ‘Project Donation’. The Congregation will only receive the Body of Christ. Communion will be received in the hand only. At the Sign of Peace please greet your neighbour verbally, e.g. ‘The peace of Christ’, but do not shake hands. St. Mary’s Website: Those who are tech-savvy please visit the site which has lots of updated and useful information about the Parish. St. Mary’s Parish Project – International Food Tasting and Fashion Show: Will take place at Nairn Community and Arts Centre on Friday, 9th March at 7.30pm. Enjoy an evening with Fashions from Brambles Boutique, Refreshments, Raffles etc. Please attend with family, friends, and work colleagues. Tickets on sale priced £15 after Weekend Masses. From the Dark Wood to the Beatific Vision – Journeying through Lent with Dante: St Columba’s, Culloden, each Wednesday at 7pm from 21st February. All Welcome. – Retreat for P7-S1. This will take place at Craig Lodge from 9th – 11th February. – Retreat for S2-S4. This will take place at Craig Lodge from 23rd – 25th February. – Retreat for S3-S6. This will take place at Kilcoy Castle from 8th – 11th February. – Pilgrimage for 15-25 year olds. This will be to Lourdes. The timing has been changed to October. The cost is £300. You can contact the Dominican Sisters if interested in any of these opportunities op@rcda.scot. Please pray for the late Canon Bill Anderson, who has passed away at 86 years old. Their will be a Requiem Mass at St Mary’s Cathedral, Aberdeen, on Tuesday, 30th January at 11.30am. Feast of the Baptism of the Lord – There will be a Mass this Monday at 10am. Children’s Liturgy and Catechism Classes: Resumes this Sunday. Society of St Vincent de Paul – Nairn Conference – The next meeting will be held on Wednesday, 10th January at 7pm in the Church Hall. St Mary’s Parish Pastoral Council – The next meeting will take place on Tuesday, 16th January at 7.30pm in the Church Hall. Light a Candle Cards – Thanks to everyone who took a Light a Candle card and gave a donation. £110 has been raised and donated to Aid for the Church in Need to help the people in Aleppo, Syria. Please continue to support this good cause. Send a card to those celebrating a special day. Patricia Robertson. Nairn Old Parish Church Joint Guild Meeting – The women of our parish are invited to the next meeting in the Church Hall, Queen Street on Wednesday, 17th January at 2pm. There is a talk by the Rev. Donald Walker on ‘The adventure of Love’, followed by refreshments.